Elissa Bassist edits the Funny Women column on TheRumpus.net. Her writing has appeared or is forthcoming in The New York Times, McSweeney's Internet Tendency, Salon, and The Rumpus. 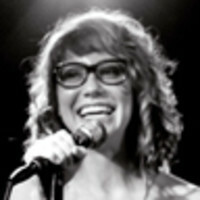 Follow her on Twitter @elissabassist, and visit elissabassist.com for more literary, feminist, and personal criticism.